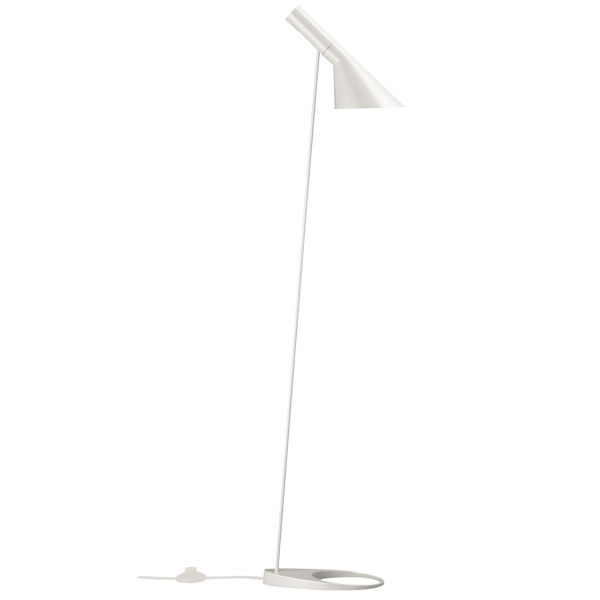 AJ floor lamp by Louis Poulsen is perfect for reading as well as general lighting. 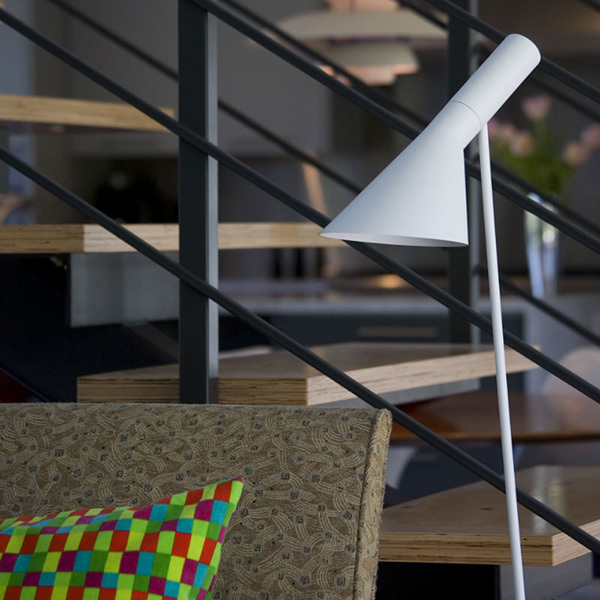 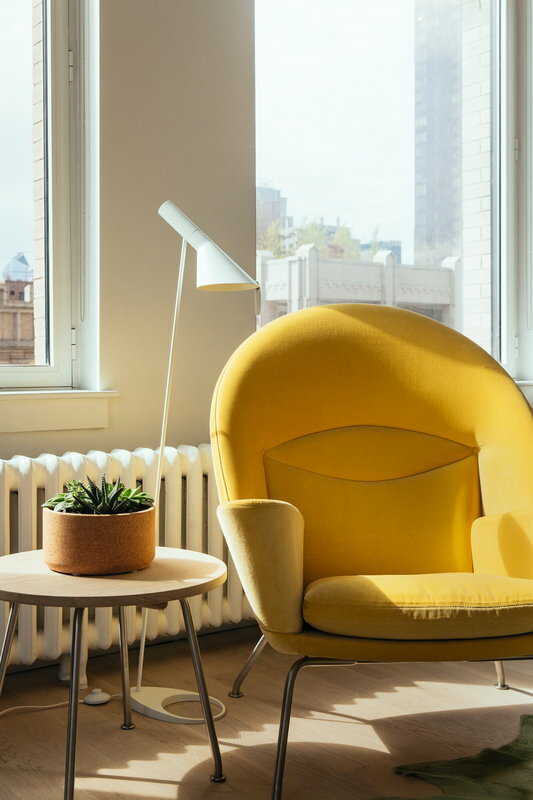 The iconic form of Louis Poulsen’s AJ range was born in 1957 when the legendary Danish architect Arne Jacobsen designed the SAS Royal Hotel in Copenhagen including its interior and furniture. 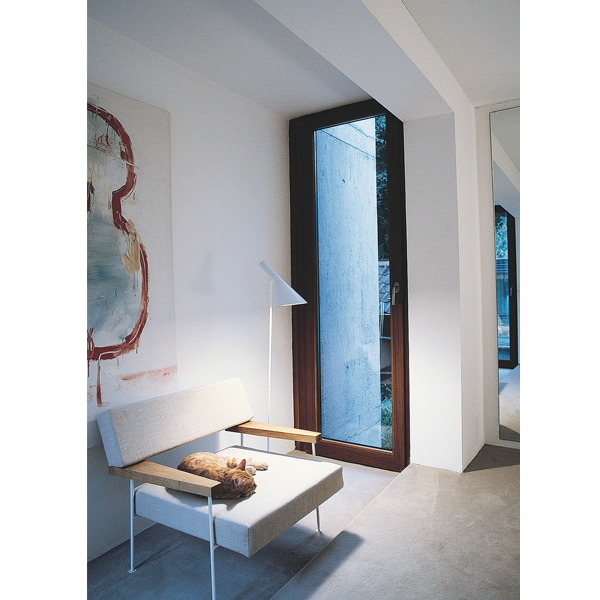 The timeless lamp has a sculptural design that consists of basic, geometric forms: a cone-shaped shade with a simple cylinder socket. 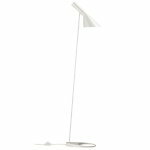 The adjustable shade, painted matt white inside, reflects soft and pleasant light with no glare. 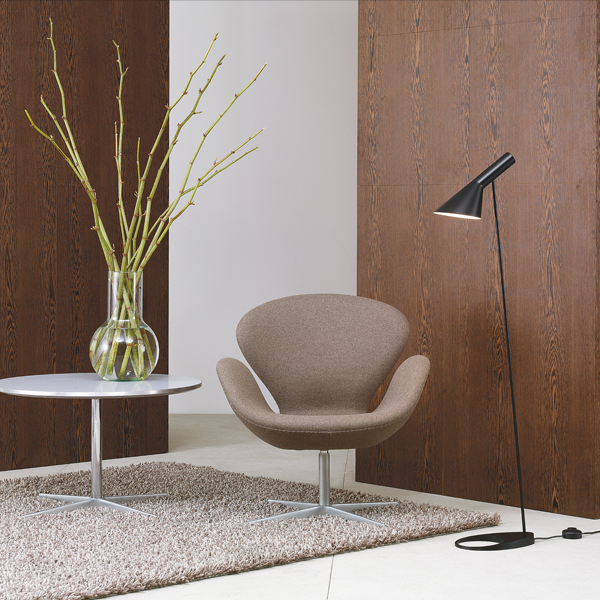 The AJ range has become a Danish design icon and one of the most beloved pieces created by Arne Jacobsen.